Today we're stitching up our Felicity skirts and attaching them to our bodices :) I'm also talking about which way you can press your waist seams and what I do for different versions of the Felicity dress (and just dresses in general!). 1. 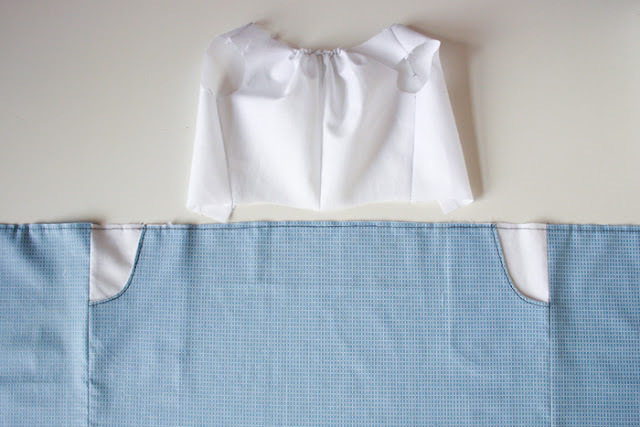 For both views, right sides together, stitch your front and back skirt pieces together up the side seam. 2. 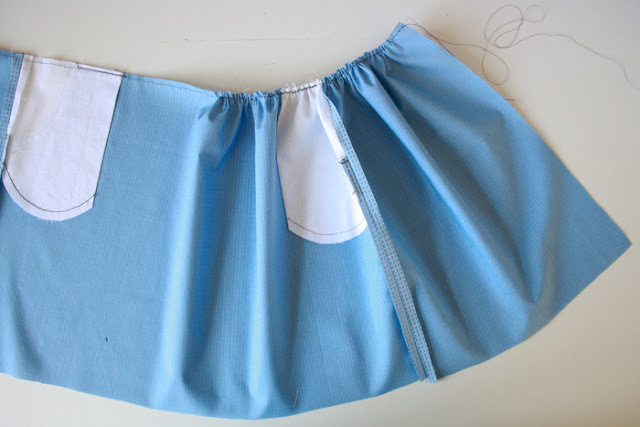 Within the seam allowance along the top of your skirt, place 2 lines of basting stitch, leave long tails at each end. 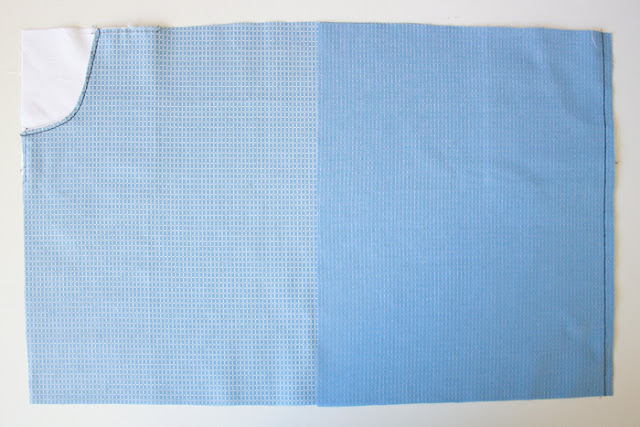 Another note: you may have noticed in the Felicity instructions that came with your pattern, I instruct you to do your basting stitches slightly differently. Both ways work perfectly well, but I think showing you another way to do the same thing is always useful. 3. 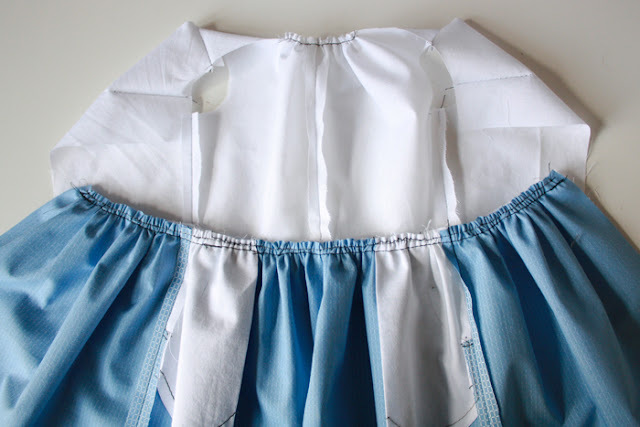 Gently gather your skirt by pulling one of the threads in each basting line, leaving both ends loose so that you can arrange your gathers to fit neatly into your bodice in the following steps. 4. Right sides together, pin your bodice to your skirt along the waist line. Make sure your side seams are matching. 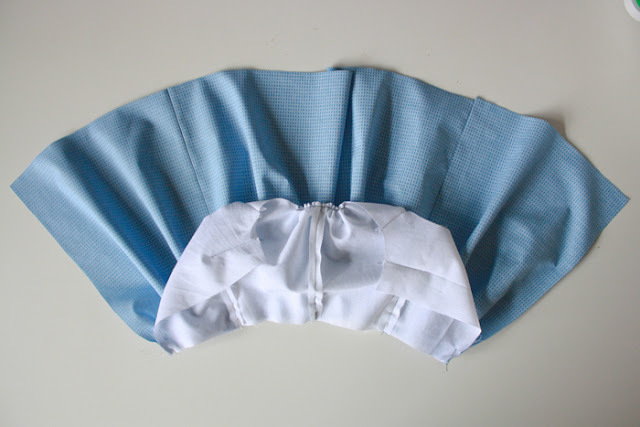 Note: if you are making the gathered skirt version, you may wish to mark the centre of your gathered skirt to ensure you are distributing your gathers evenly around the bodice. 5. 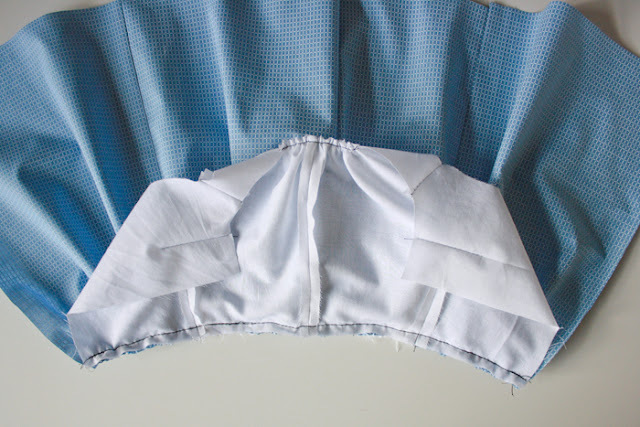 Stitch your bodice to your skirt along the waist line, back tacking at both ends. Which way should you press your waist seams? Ah, the eternal question. Honestly, at the end of the day it's really completely up to you. There actually isn't a right or a wrong way, because it depends on a number of factors that are unique to your project. When I got the feedback from my testers for Felicity, one thing that a few of them remarked on was that I didn't specify which way to press waist seams. That was deliberate from my end, because I actually do it differently depending on what view I'm making, the fabric I'm using and how I'm feeling on the day. All of my testers pressed their waist seams differently and all of their dresses turned out perfectly fine, so as a break-the-sewing-rules kinda person, it just proved to me that you don't have to do things exactly as you're 'supposed' too. Doing what you feel is right for your particular project, based on what you're making, the fabric you're using and the tools and supplies you have at hand, is the best way to make sure you end up with a finished garment you're happy with. When making the gathered skirt version, I personally press my waist seams up. 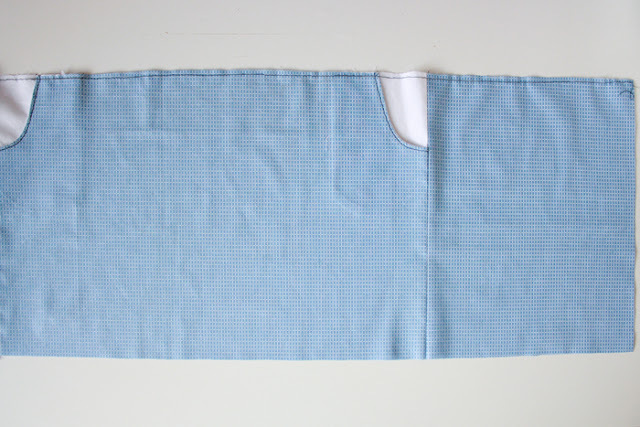 This is because gathered fabric can be bulky - if you pressed them open or down, the gathers are going to be folded over onto themselves, which can result in a somewhat bulky waist line seam. This of course, totally depends on the type of fabric you're using, and if you're using something light weight, then pressing them over onto themselves probably wouldn't add that much extra bulk. For the full sized Felicity I'm making that fits into the floral bodice you've seen in earlier tutorials, I'm using a medium weight woven fabric for the skirt that just doesn't want to be pressed open or down. A great reason to press your waist seams open is that you are distributing the bulk of the seam evenly between the bodice and the skirt, creating a smaller waist line (or at least the illusion of). It's also super handy when it comes to inserting your zip, as the waist line seam can be bulky, which makes it hard to stitch neatly. 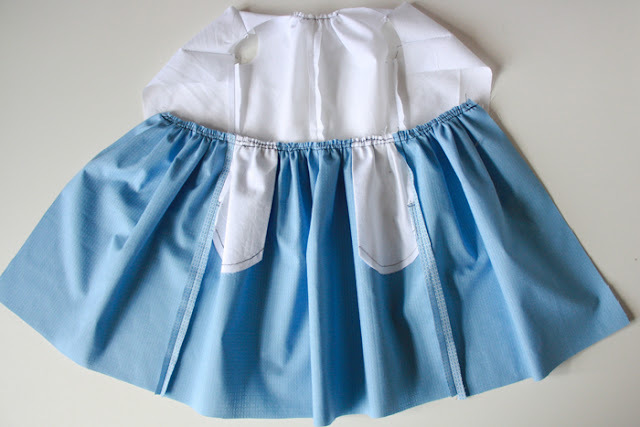 I do this on the circle skirt version. 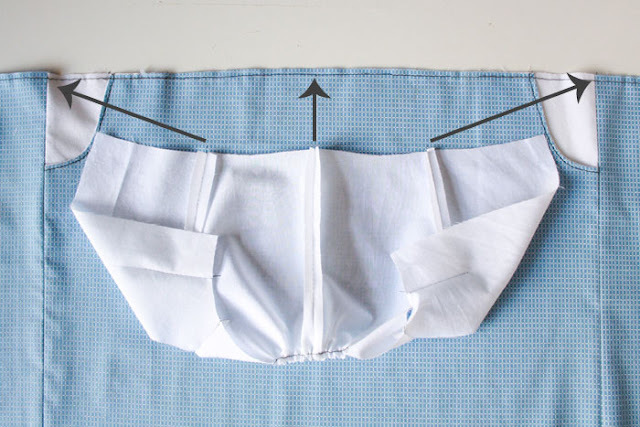 I personally don't tend to press my waist seams down in general, but I can imagine that there is the potential to see the outline of your waist seam allowance through your bodice (especially if you're using a really light weight fabric or one that is particularly light in colour), so pressing the seam down will result in a smooth bodice around the waist. So, there you have it - at the end of the day, do what you think is right for your project, there is no one right way. Next week, we're inserting lapped zips, my very favourite kind zip! Sew Indie Month - Bundle 1 Sale!